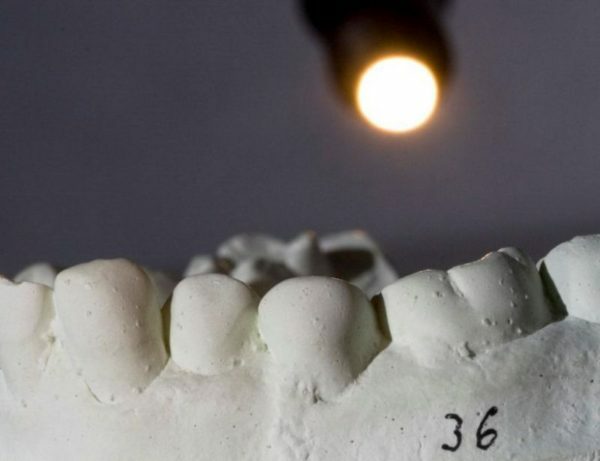 Scantron is the world leader in non-contact precision measurement for dental research. 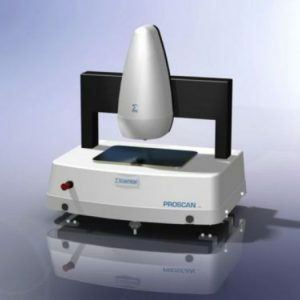 We have poured over three decades of dental industry knowledge into the Proscan 2100 Dental, a specialist and dedicated solution which uses patented technology to measure surface erosion, porosity, abrasion, attrition and roughness. Laboratories and research organisations around the world choose Proscan 2100 for pilot projects and clinical studies. Being ultimately practical, the Proscan 2100 system for dental labs is an efficient and accurate way to perform abrasivity testing and wear and erosion testing. It suits many applications and replaces a number of expensive instruments capable of just one specific task. 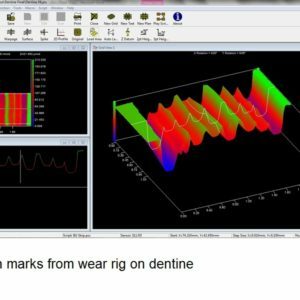 With our unique measurement technology developed specifically for the dental industry, the measurements you need can be achieved quickly and inexpensively, by equipment proven to last for many years. There is minimum maintenance and calibration required, making this an indispensable solution. 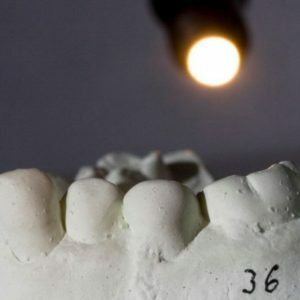 Scantron has a range of non-contact surface measurement solutions for dentistry and can create bespoke systems and tools for specific applications. Contact us to find out more or visit our dental page. Safe white light is transmitted through a lens, which has carefully manufactured spectral aberration built in. It is this effect that takes the white light and divides it into the full spectral field, focusing each different colour frequency at a slightly different point through a defined measuring range. When an object is placed within this range, only one particular colour frequency reflects back from the surface. This information passes back into a processor where a spectrometer analyses the signal and converts it to a measurement. 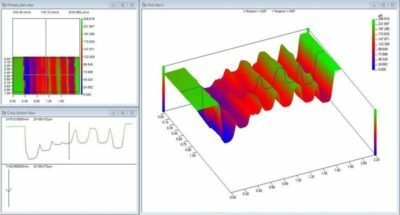 Proscan combines these measurements with the precise location of a moving X and Y linear table, giving three co-ordinates from which a three dimensional profile is created. 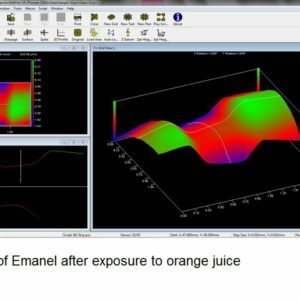 EROSION Proscan measures the direct effect of erosion on emanel and dentine by acid foods and drinks. Small speciments are mounted onto, or into, acrylic holders for in-vitro testing. The surface profiles are measured both before and after exposure to the erosive element. 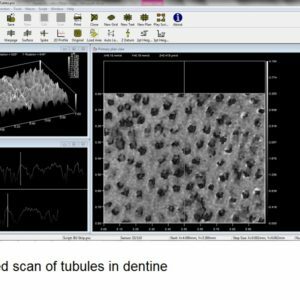 Once scanned, a datum profile is produced for each sample showing sufficient detail to identify the enamel rod structure. The difference between the two scans is qualified either as height deviations or as a volume measurement. 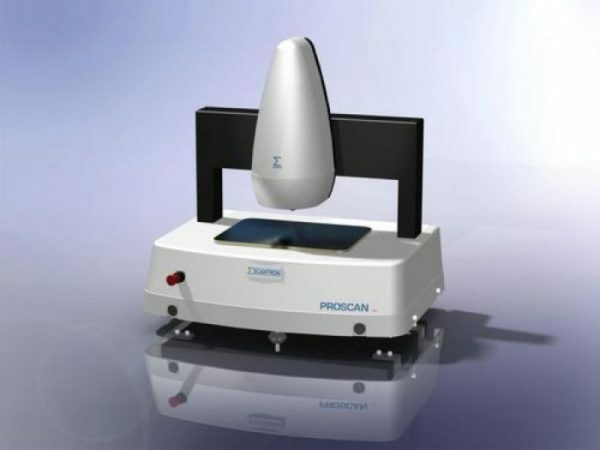 ABRASION Proscan is fast becoming the benchmark for enamel abrasion measurement. 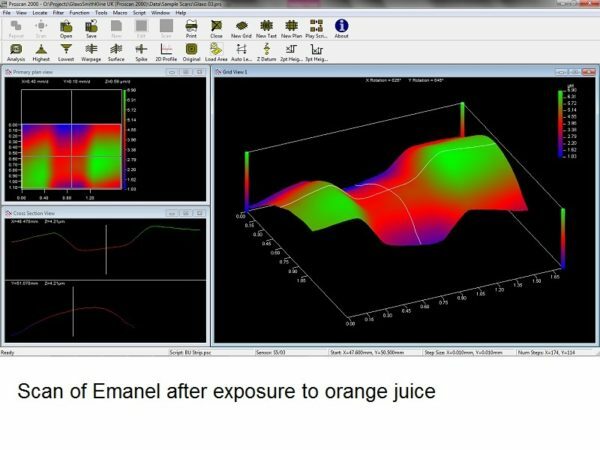 Favoured for its ease of use, the system easily captures the true surface profile of enamel both before and after abrasion testing. 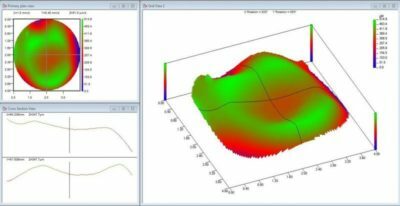 ATTRITION The entire topography occlusal, incisal and proximal surfaces are captured through either in-situ modelling or in-vitro testing. 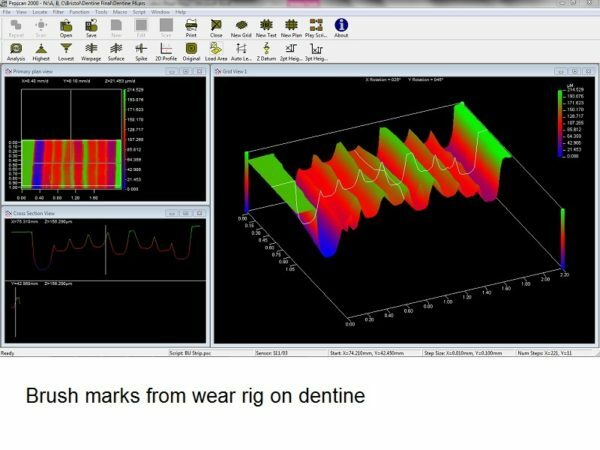 Accurate 3D measurement of the polished facets formed on the cusp tip or the flattening of the incisal edge allows qualification of wear levels, especially where analysis over time is concerned. 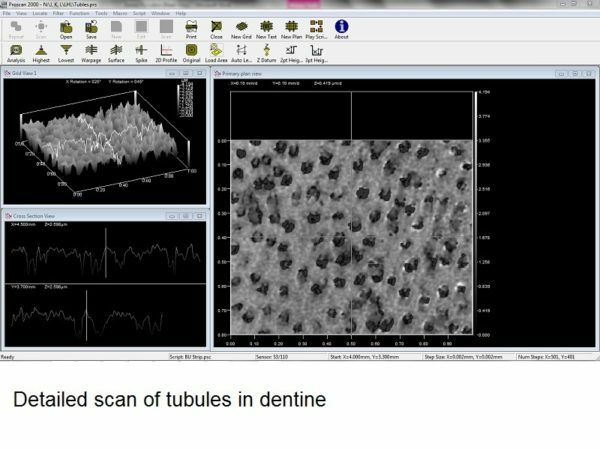 SURFACE POROSITY Sub-micron resolution allows measurements on the inter-crystalline structure to be analysed. Studies into the effect of white-spot lesions reveal vital information. 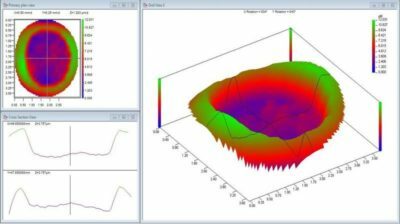 SURFACE ROUGHNESS Choose from a wide range of standard ISO and DIN surface roughness analysis tools to accurately determine the true surface texture of a material.